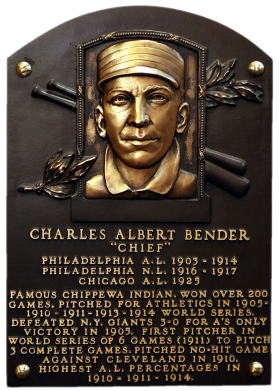 An alumni of the Carlisle Indian School, the half-Chippewa Chief Bender overcame a series of racial slights to become one of the Philadelphia A's most valued members. In his 10 World Series appearances, Bender when 6-4. 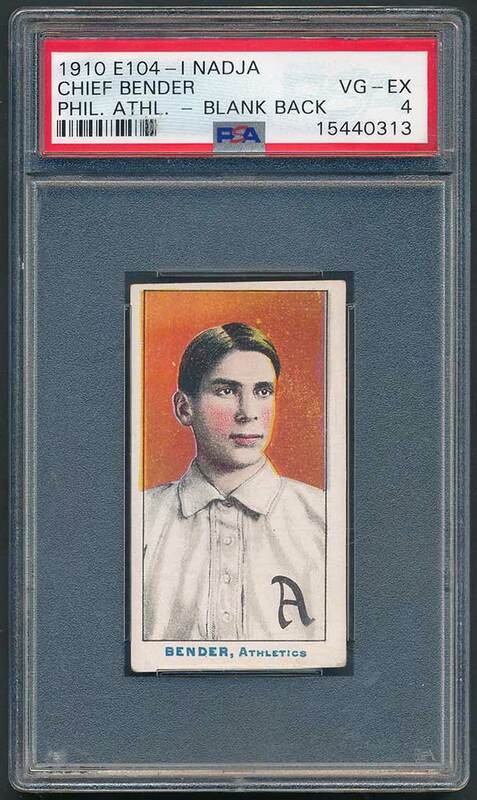 He led the AL in winning percentage three times, including a 17-3 mark in 1914. 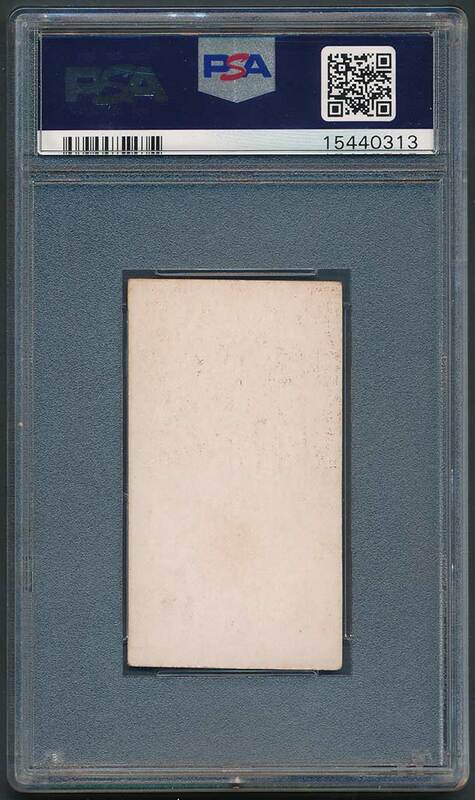 Comments: A T206 card was my first Chief Bender portrait, a PSA 4 example purchase in January, 2003 on eBay. I upgraded the card to a PSA 5 in April, 2005. 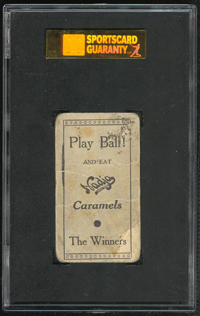 That same month I also purchased a PSA 5 1909 E95 Philadelphia Caramel card. I didn't have an E95 in the collection and owned several other T206 Hall of Famers. Within a few months I sold my T206 Vic Willis and replaced it with a E95 example. This made me want to swap out the E96 Bender for something else to diversify the collection. 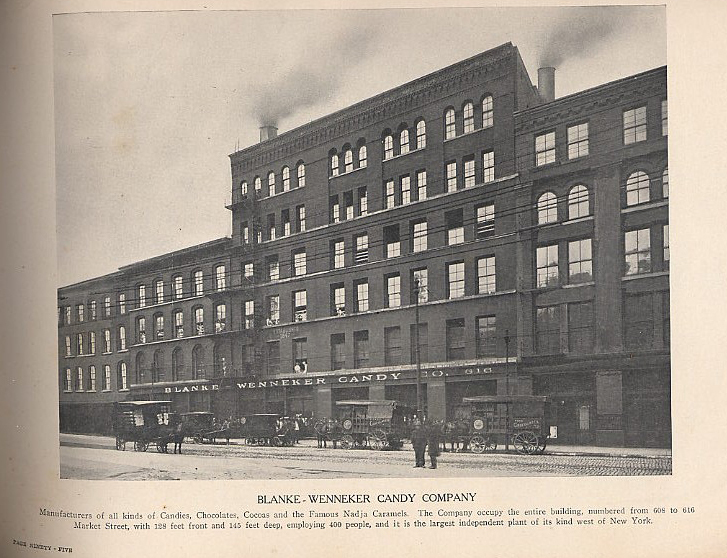 The opportunity came up in December, 2005 when this 1910 E104 SGC 20 example was advertised by Ben Fisher on the Net54 board. 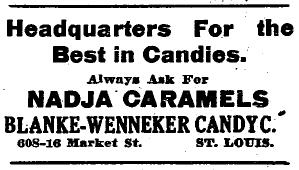 I have not seen another copy with a "Nadja" back offered anywhere since. 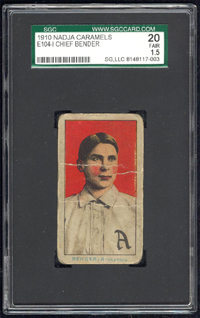 Description: While there are 18 Philadelphia Athletics players in this set, it should be assumed that each can be found in three different variations. 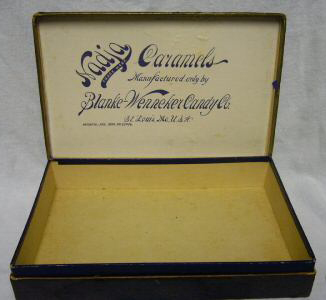 Each of the 1-1/2" X 2-3/4" cards can be found with a plain portrait lithograph on front, with either a blank back or a back containing a Nadja ad. Each player can also be found with a black overprint on front, comprised of a white elephant figure on the uniform and the notation "World's Champions 1910" above. 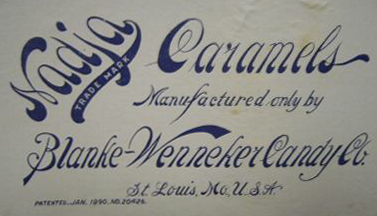 The overprinted cards are known only with blank backs, and are somewhat scarcer than the plain cards of either type. 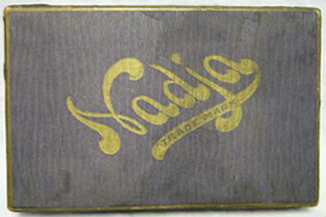 Nadja-back cards should be valued about the same as the overprinted type.